“Tarmac” was my first computer password, and the word conjures up memories of my college roommate, and life before computers changed everything. 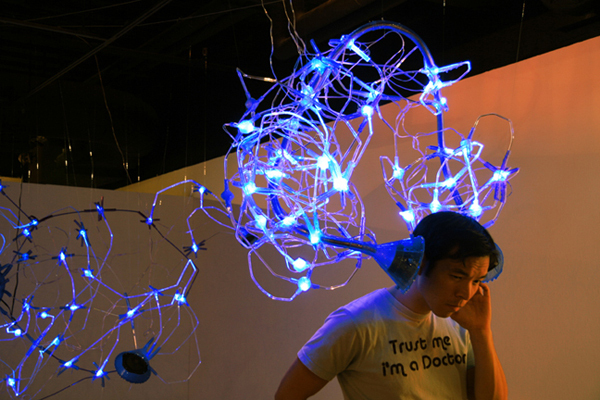 In this sound sculpture, the autobiographical song plays to one viewer at a time through giant sculptural headphones. LED-lit nodes map out the network of people and places in the song.